Do breastfeeding mothers have to expose their breasts in public? No. 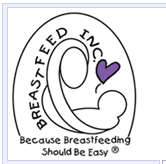 Breastfeeding can be done very inconspicuously in the presence of other people. A mother can turn her back to get started nursing and then use a blanket or shawl over the chest and shoulder to conceal the breast. Many onlookers think the mother is cuddling the baby. 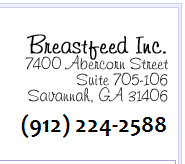 It is helpful for mothers to practice breastfeeding at home for a while if they feel uncomfortable nursing around others. Nursing in front of a mirror can be reassuring as to how little can be seen. Many stores have comfortable rooms where mothers can nurse their babies. A quick stop in a fitting room is also convenient.